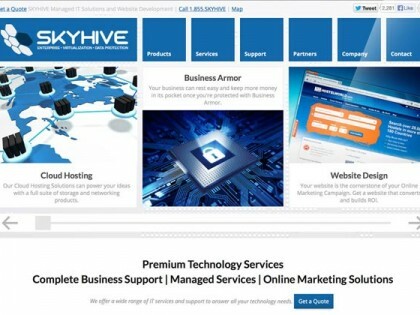 I offer premium website design and development that will make your business stand out above the rest! I implement proven marketing strategies to improve your Search Engine Optimization, both onsite and off. I can help your business leverage social media to increase conversions and strengthen customer relationships. I can monitor your reputation online and develop strategic plans to encourage positive reviews for your business. This program develops strong conceptual, design, and technical skills needed to effectively organize and deploy your projects online. David was a pleasure to work with on the Administration Website for the College of Health and Public Affairs. He was organized, efficient, and answered any questions that I had on this project in a timely manner. He definitely made my vision come to fruition and I am grateful to have worked with him. David is not only gifted at the art of web design but he has a gift for people. This rare commodity in his profession sets him a part from others. I would highly recommend David, he is passionate about his work and it shows. Great guy, great work. David's work as a web-designer for the college has been exemplary. He is always energetic and willing to work on time-consuming projects. David continuously impressed me with his very acute ability to understand a prospective client's vision and goals. Polite and friendly yet professional, David is always willing to do what is necessary in order meet his or his company's obligations. Despite being so amenable, he was not afraid to challenge his clients when necessary. Quite often this critical mindset led to a much more successful outcome and ultimately a long term relationship. David is an awesome web designer who is concretely creative. He meets our practical needs with outstanding creativity. He is easy to work with and follows through diligently. Please do not steal him from us!!! Barbara Howell - Board Member at Children's Global Alliance, Inc.
David and delivered tremendous results in a timely manner. It was a pleasure to work with David, as his attention to detail and his understanding of customer's needs is impeccable. We look forward to working with David in the future!